The sunset camel ride, being our most popular tour, is a relaxing and informative experience along the beautiful white sands of Cable Beach. 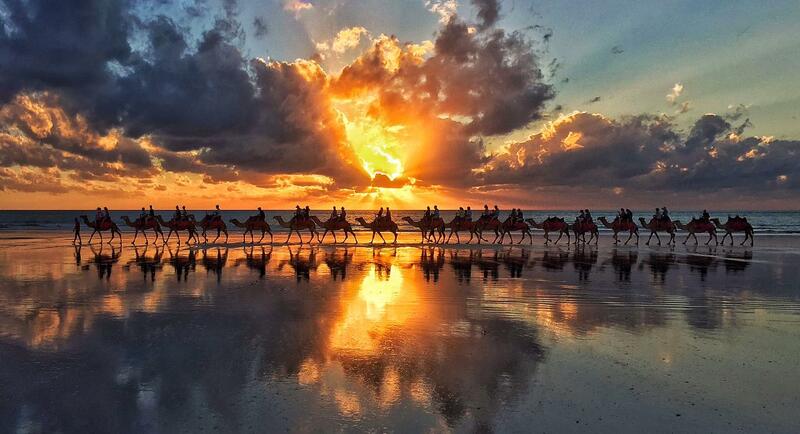 Watch the awe-inspiring backdrop of the sun setting over the Indian Ocean, from atop your camel. BOOK EARLY! As our iconic sunset tours is often booked out days ahead.